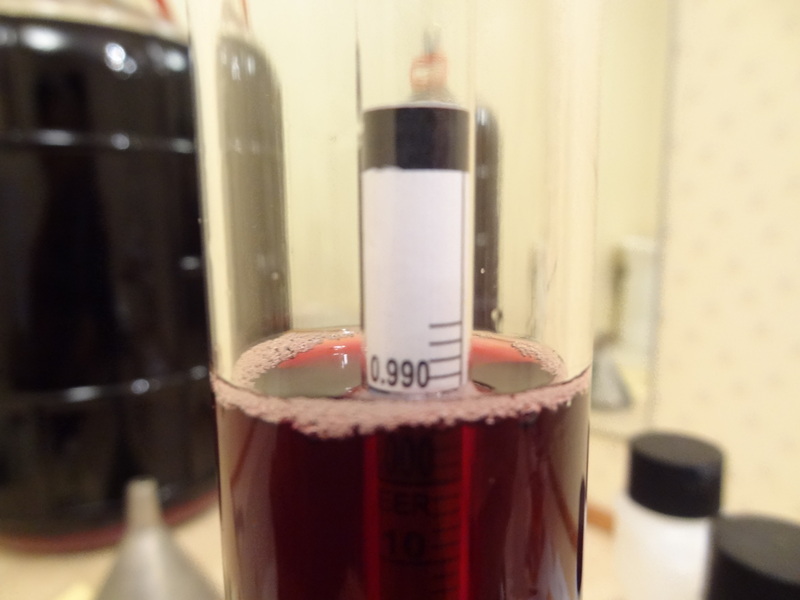 Well, it has been 11 days since we last tested the wine. Yesterday evening it was time to test it again. It tested well under the percentage it needed to be at, soooo, time to put in the ingredients to help clarify the wine and stir, stir, stir to get the gas out. 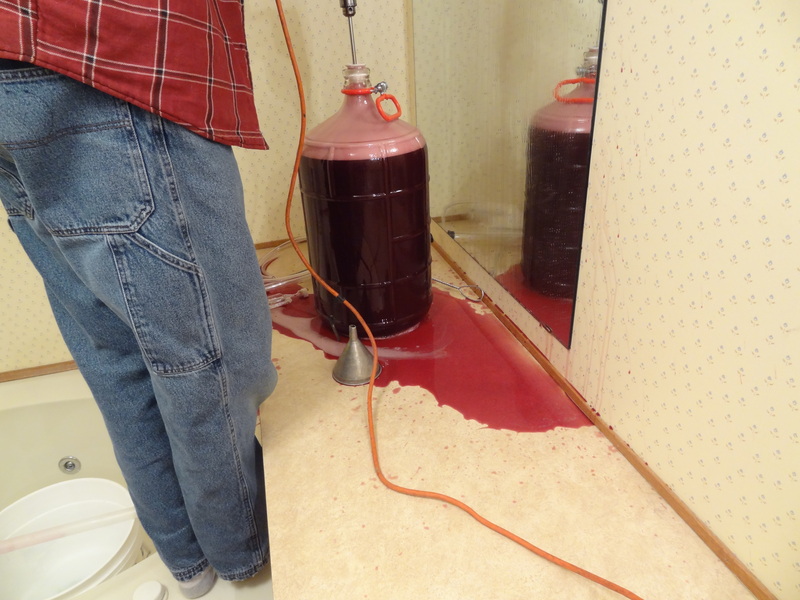 Glen didn’t realize how much gas was in the wine which resulted in a panic on our part…..it erupted. When it died down it looked like we had killed someone in our bathroom. It sprayed all over the walls and mirror. Thank God we decided to do this next to the bathtub! After getting things cleaned up and the head on the wine died down we stirred, and stirred and stirred some more. All the gas has to be removed or the wine won’t clear. No one wants cloudy muddled looking wine. 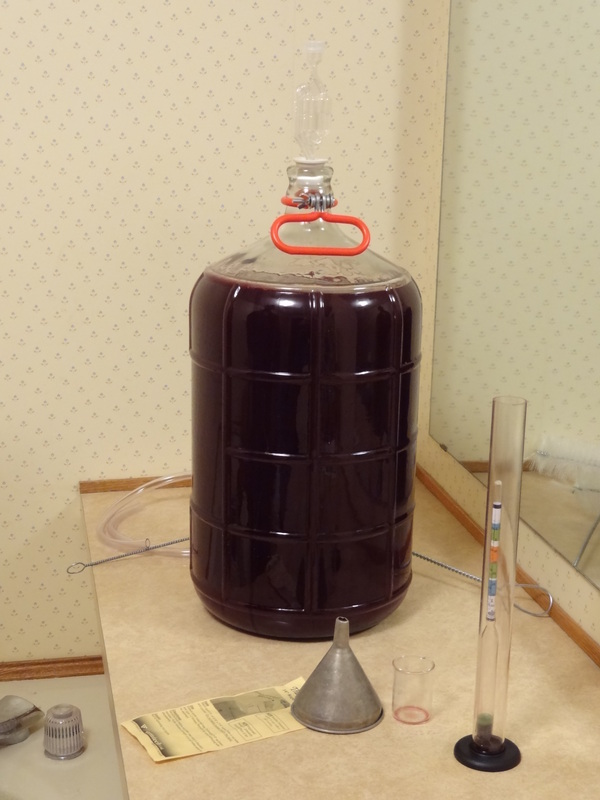 The wine…..it was very gassy 🙂 Now it must sit for two weeks before we can bottle it. 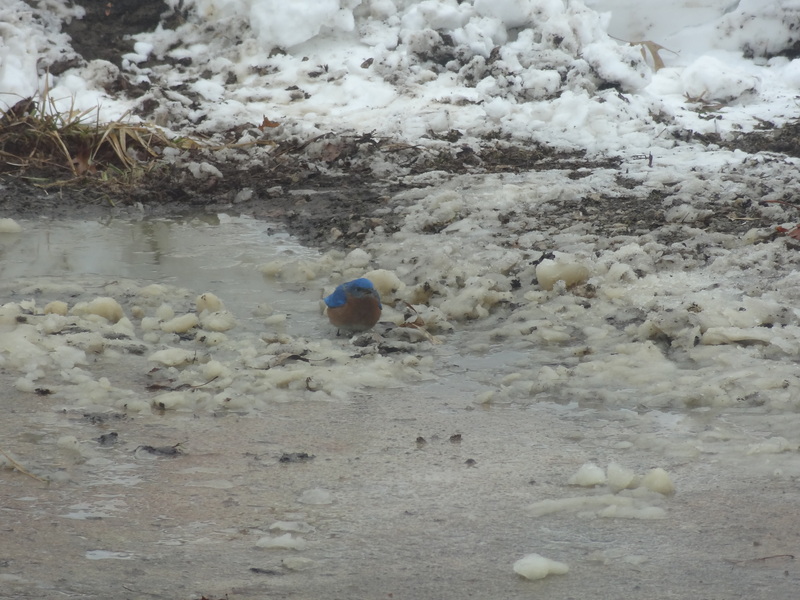 This is not the bluebird of happiness….he wants warmer weather with no more snow. 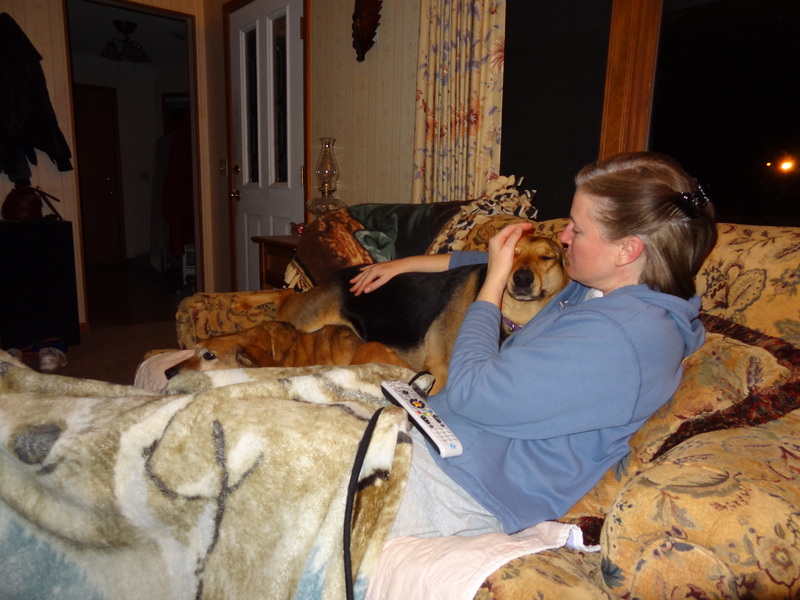 Lucy: I need snuggle time, so move over Petey. 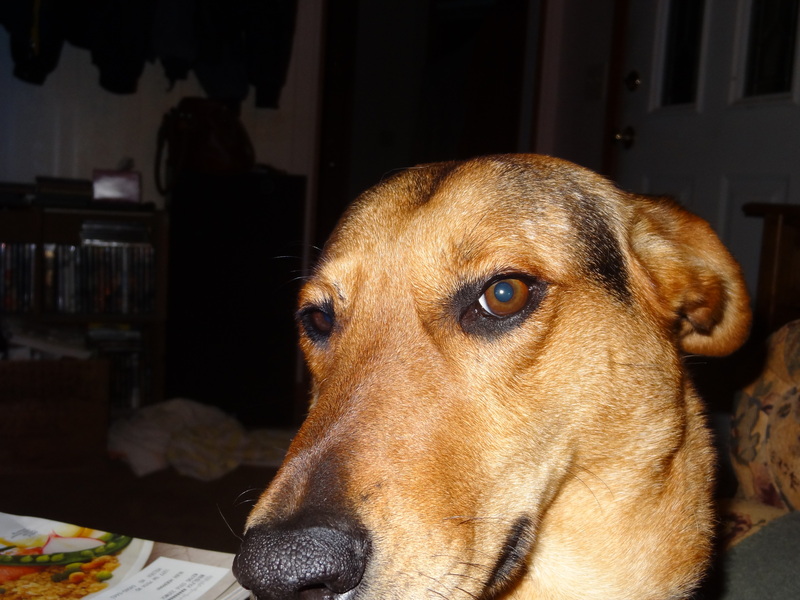 Lucy: I swear I didn’t do anything naughty. 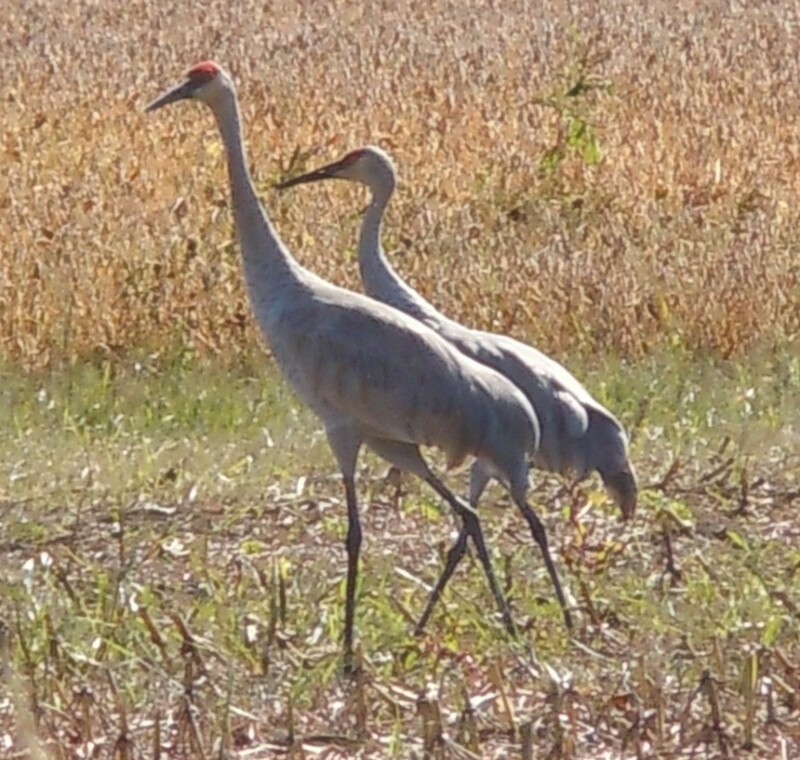 Last Friday as I was driving to work I saw two Sandhill Cranes. They were just standing on the side of the roadway. I wanted to get a picture of them so badly and was attempting to pull over. However, I didn’t have the camera with me, just my cell phone. My cell takes good pictures, but I would have been too far away to get a decent shot. I pictured myself, dressed in my uniform, trying to get as close to the birds as I could without spooking them…..and decided it wasn’t worth it. It was the first time, outside of a zoo, that I have seen a crane. Not even sure I have seen one at the zoo. They are really, really tall and magnificent. 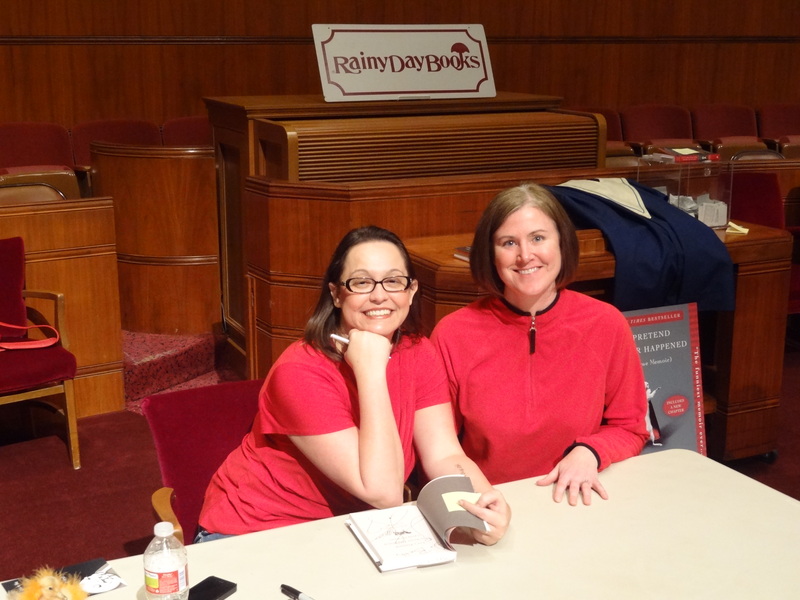 Last night Glen and I, along with Rob and Kate (co-workers/friends), went down to the Plaza for a book signing and reading by Jenny Lawson. 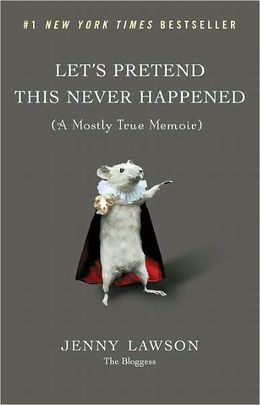 Jenny wrote the book “Let’s Pretend this Never Happened” and she writes the blog called thebloggess. Both of which are fantastically funny reads and highly recommended. Me and Glen waiting for our turn to get in line so I can get my book signed. 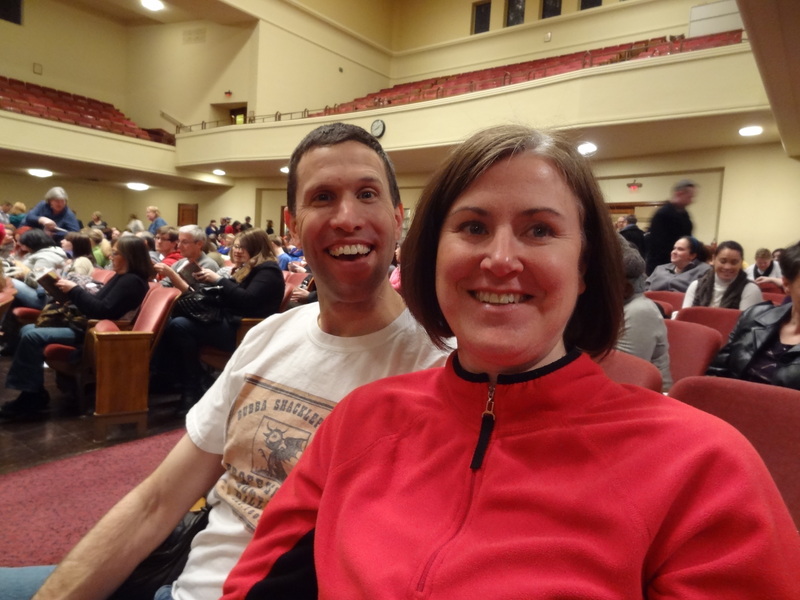 The event was at the Unity Temple on the Plaza. 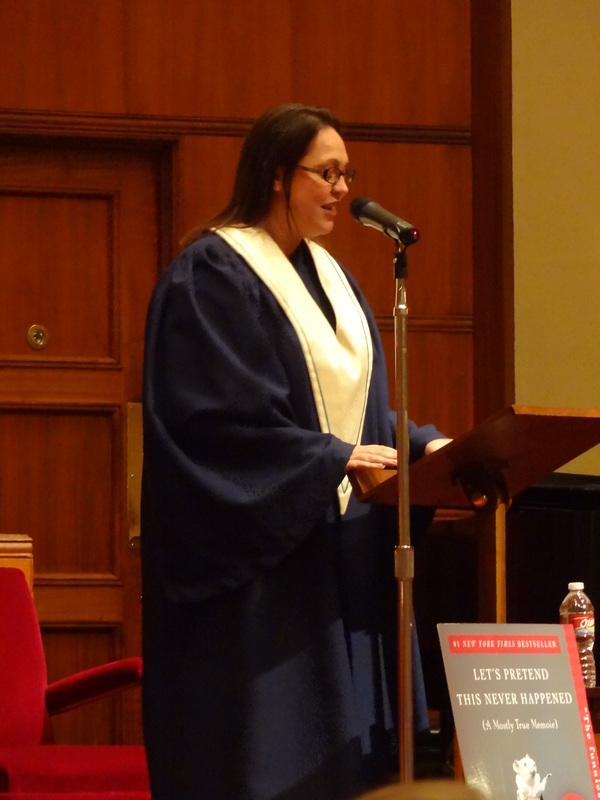 Jenny managed to get her hands on one of the choir gowns and decided to wear it for her reading. Very spiffy….and funny. Here is Kate getting her book signed. 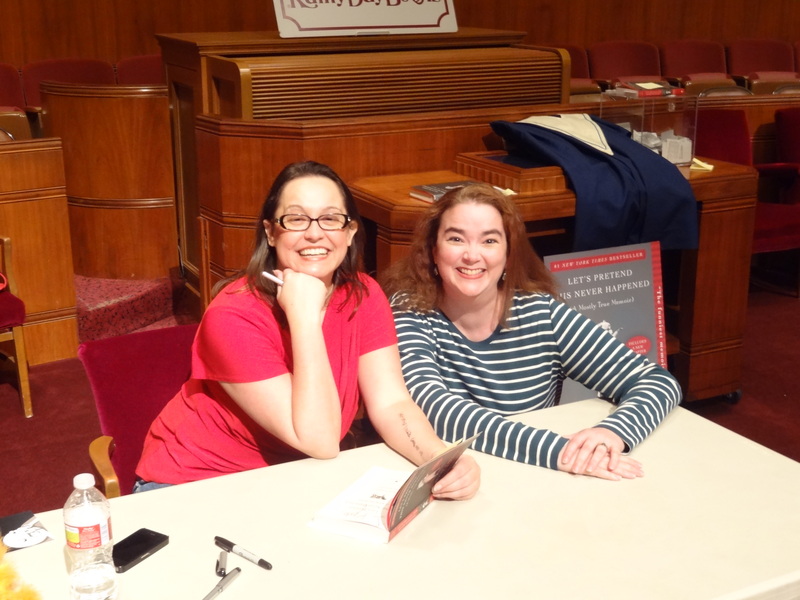 Thank you Bloggess for coming to KC on your book signing tour!!! 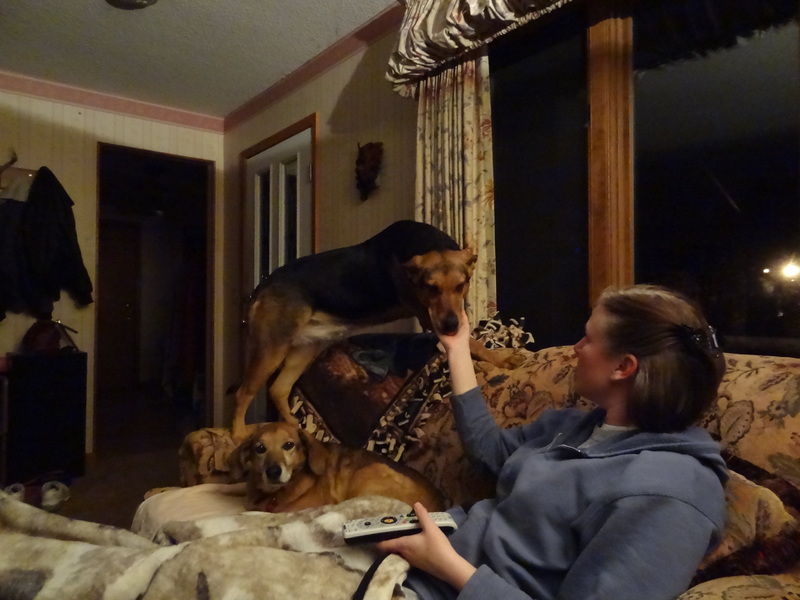 It’s spring….I want it to act like it. Yesterday was the first day of spring. How are we going to celebrate that? 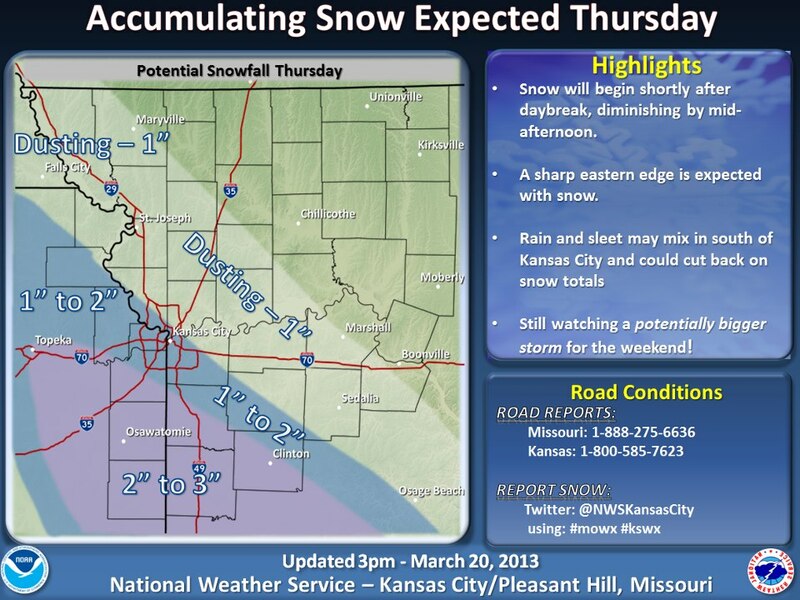 It is going to snow! If I just pretend it isn’t going to happen, it won’t right? Now I realize I shouldn’t be whining about a mere 1 to 3 inches of the white crap. However! This weekend we are in for a “significant” weather event. I am so very ready for winter to be over with. Lila has an appointment at the vets tomorrow. She is going in for a talon trim, but she also has to have some blood drawn. 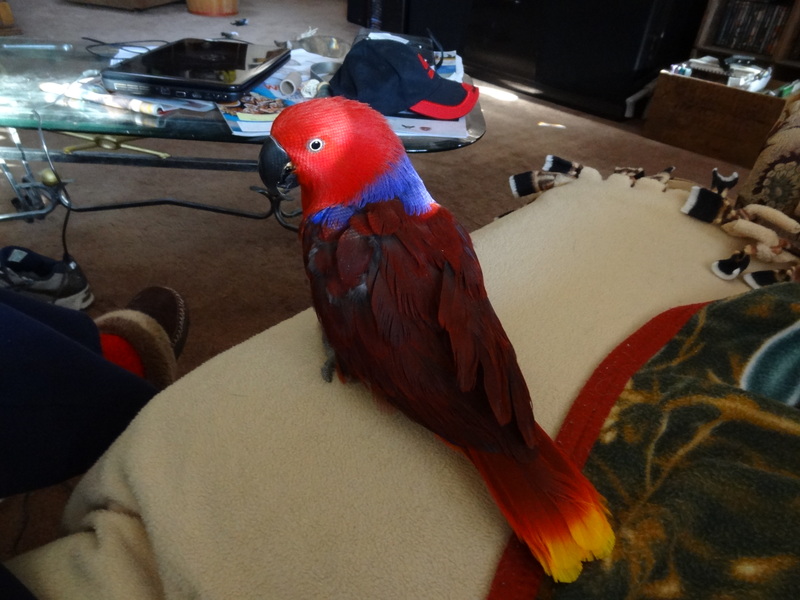 A few months back she tested positive for Avian Bornavirus. 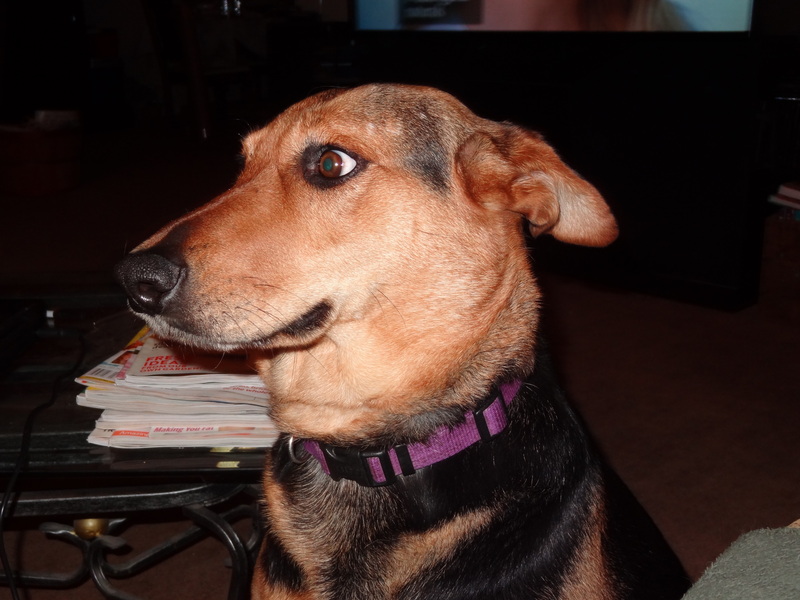 We are having her tested again at a different lab to make sure it wasn’t a false positive. Sunday it was time to check the gravity of the wine. 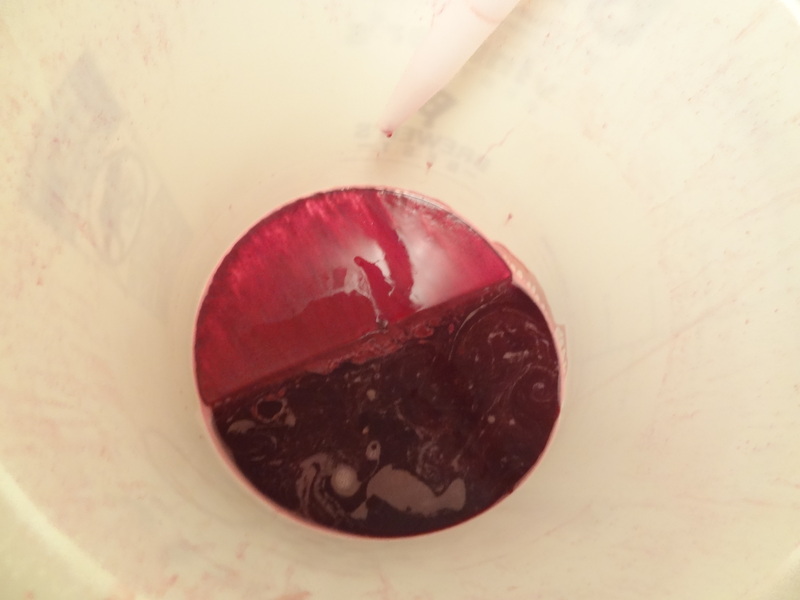 If it tests within a certain range it is time to siphon it off the sediments into a clean secondary container. 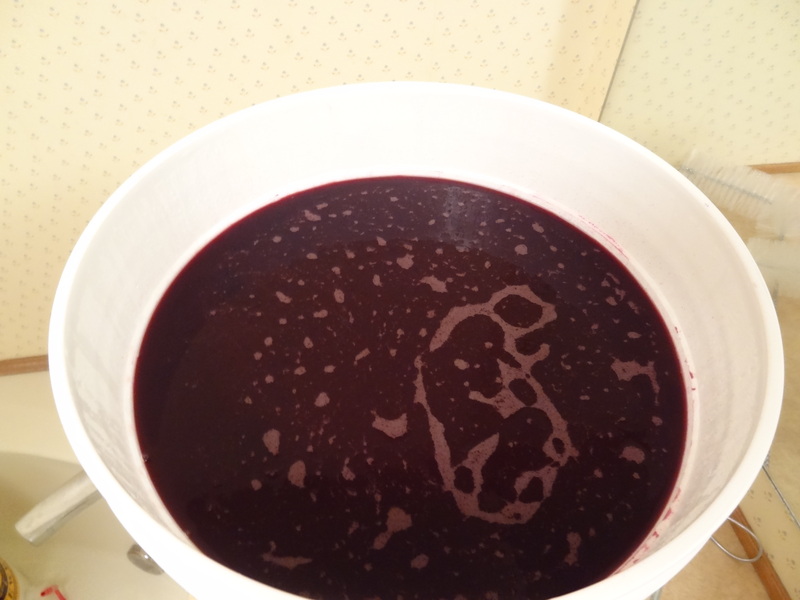 Here is the wine in the fermenting bucket. 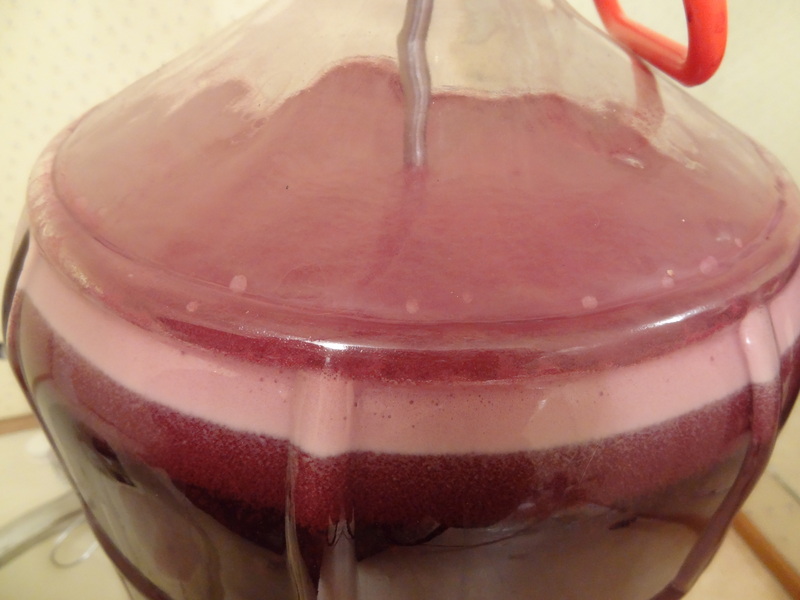 The yeast and grapes have been very happy together. 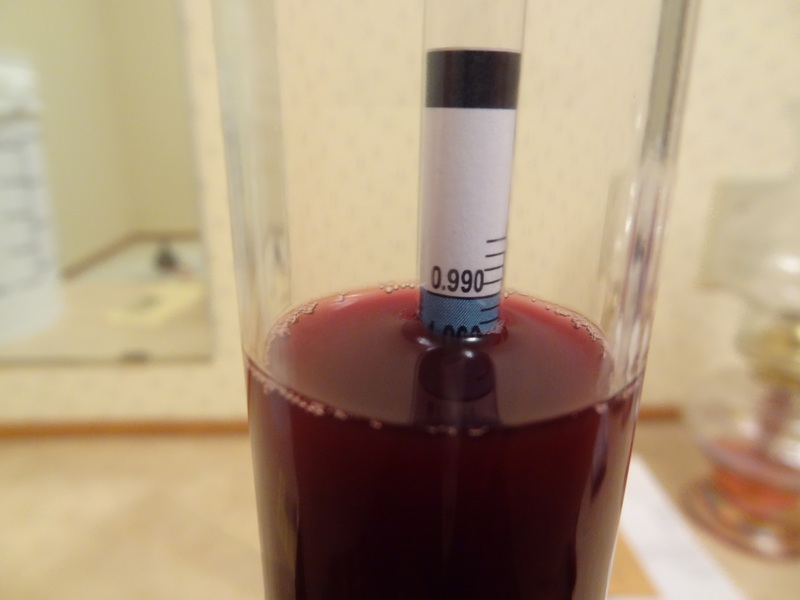 Here we are testing the gravity of the wine. 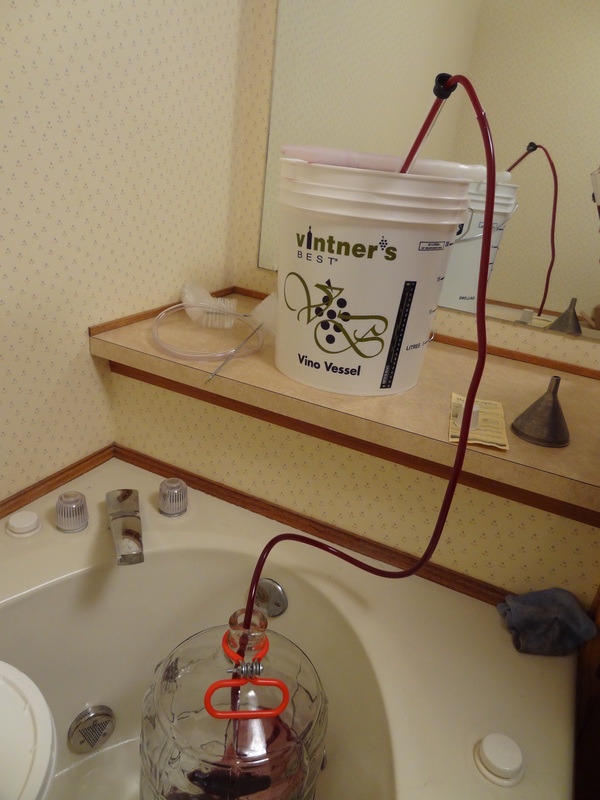 It tested perfectly, so we siphoned it into a clean secondary container called a carboy. This is the sediment that was left at the bottom of the fermenting bucket. 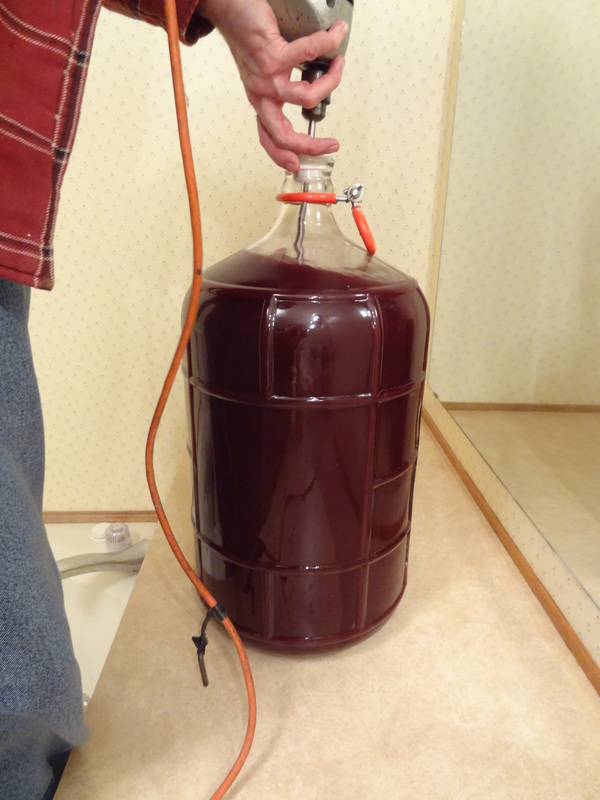 The wine has to continue to ferment in the carboy for another 10 days when we will test it again. So…..stay tuned. It was a long week! I think this picture sums up how last week treated us. It seemed like it took forever to get to the weekend, and once it got here we were all too tired for any Saint Patrick’s Day shenanigans. We did enjoy the traditional corned beef, cabbage and potatoes. 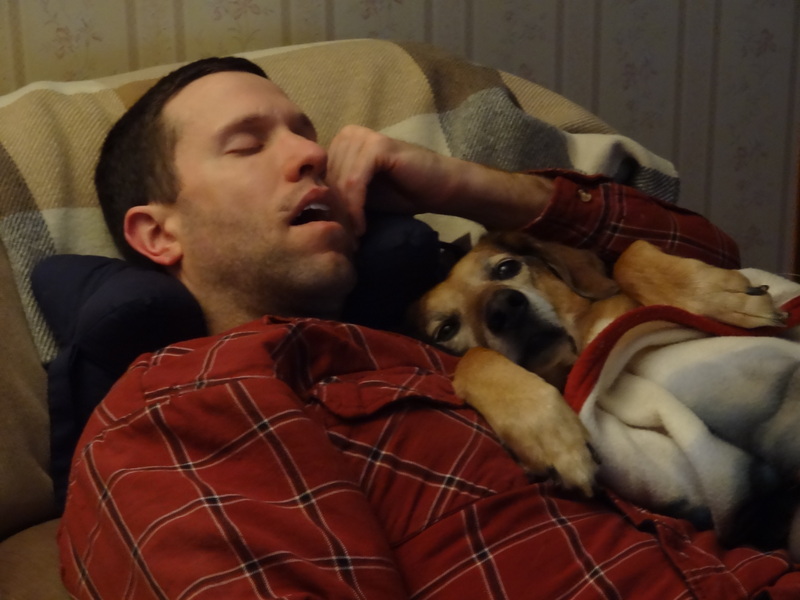 Hoping everyone else had a good and restful weekend….and if not restful, I hope you had a ton of fun.